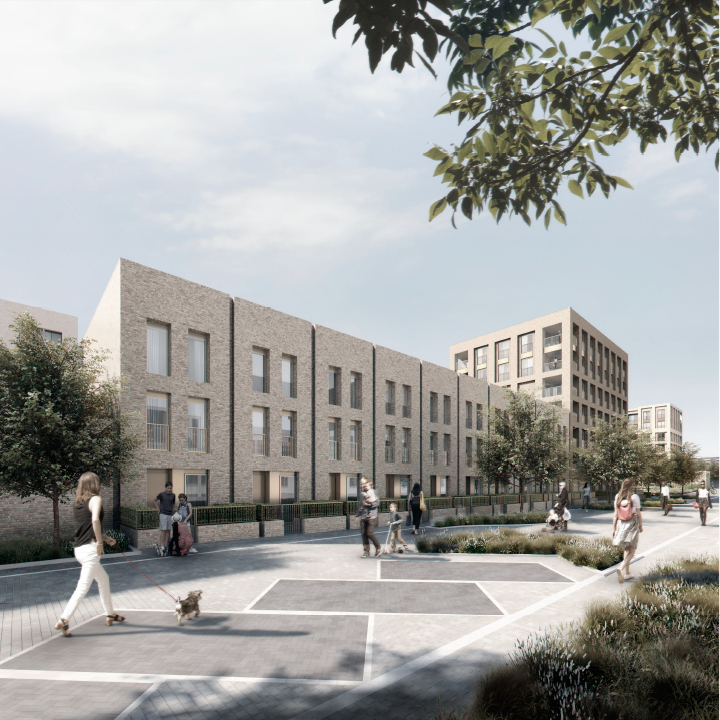 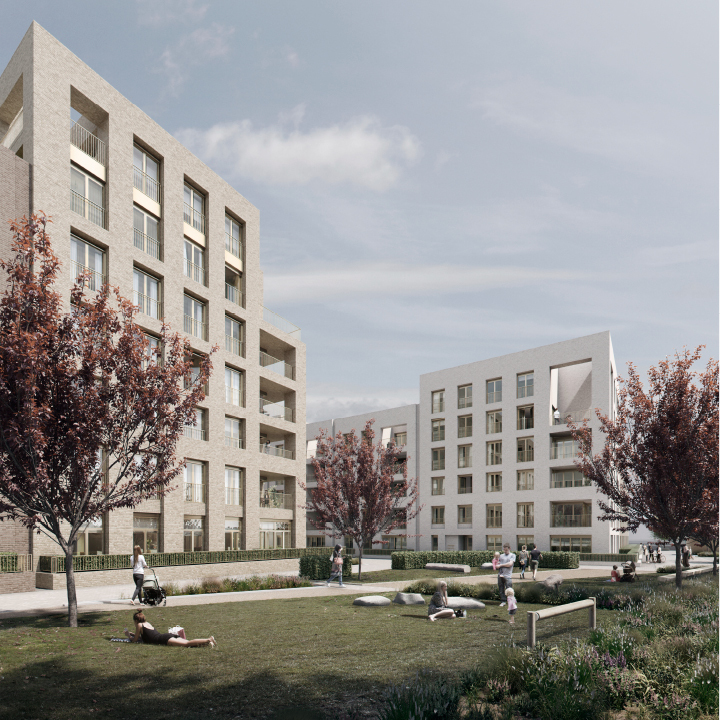 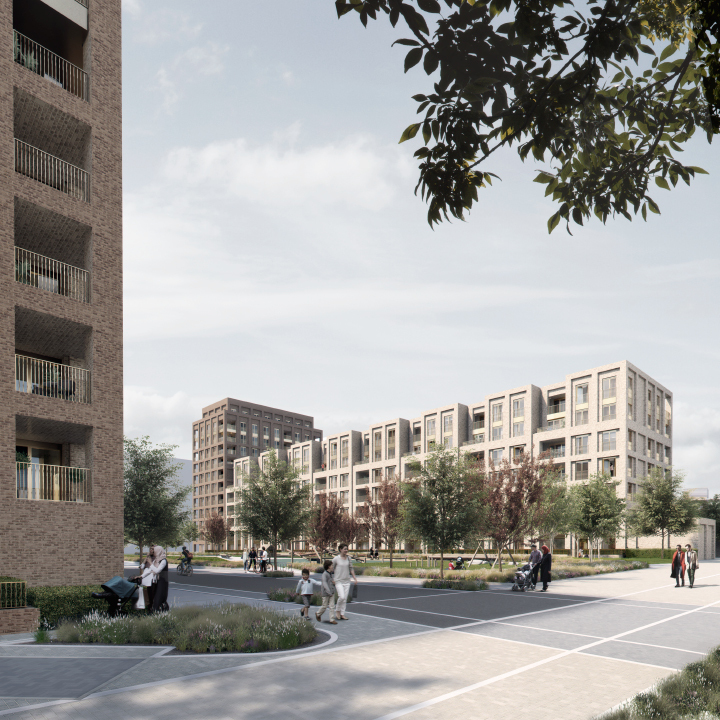 This scheme for Redrow London forms part of the Colindale Gardens Masterplan, on the former site of the Peel Centre, the principal training centre for London’s Metropolitan Police Service since the 1930’s. 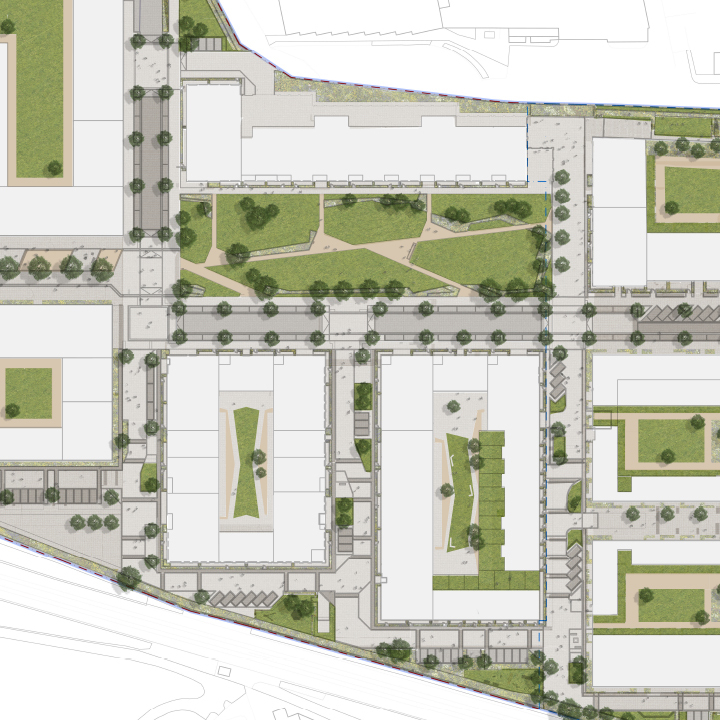 The proposal, containing 483 residential units, is formed from three residential buildings (E, F & G) arranged around a central green space, Garden Square West. 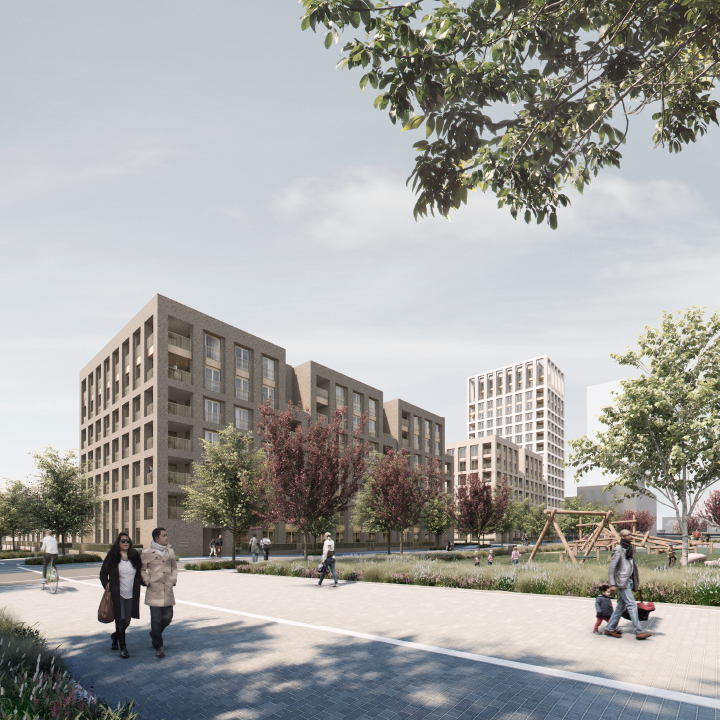 Each of the three plots are expressed as a series of finer grain buildings lining the edges of the square and the primary axial route through the whole masterplan site. 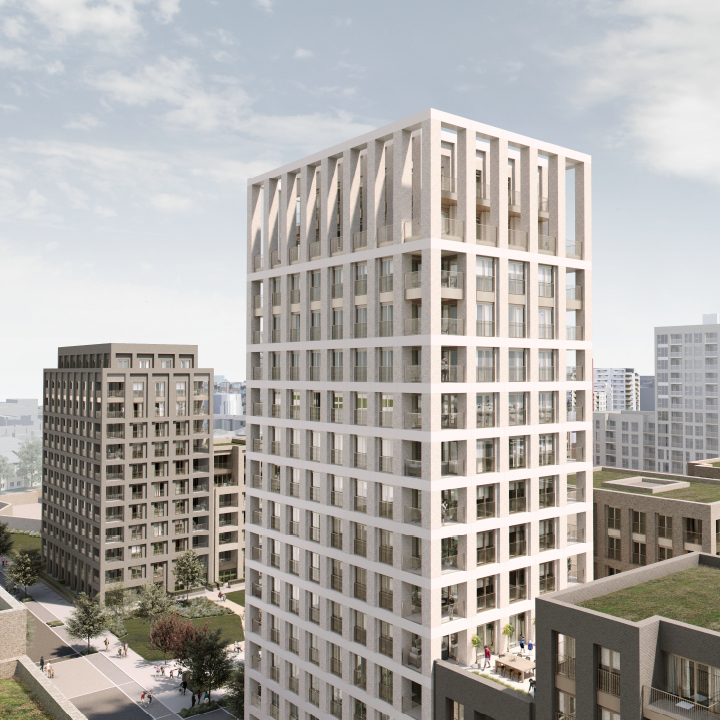 The proposed facade treatments apply an expressed frame that clearly highlights the tripartite facade treatment. 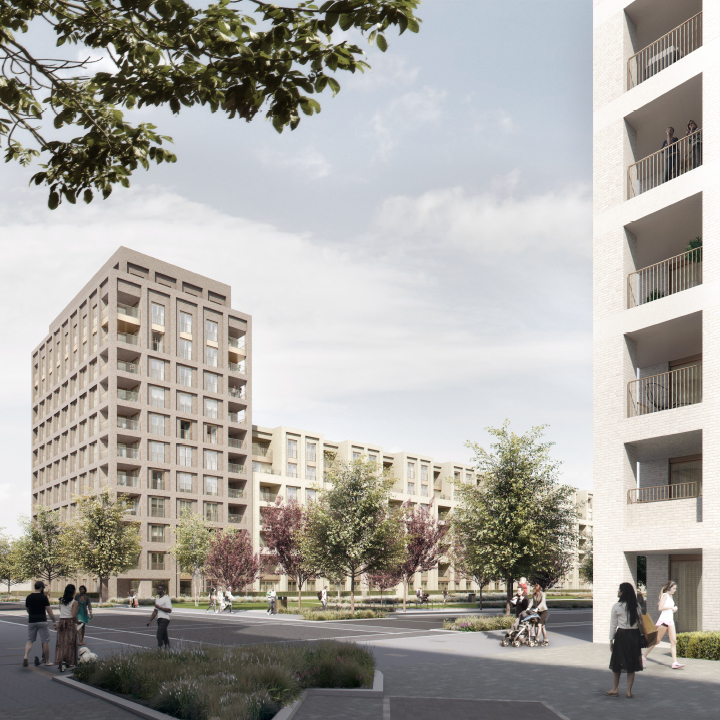 Hewn from a tonal palette of bricks, this framework uses brick banding and columns in order to create a distinct sense of base, middle and top. 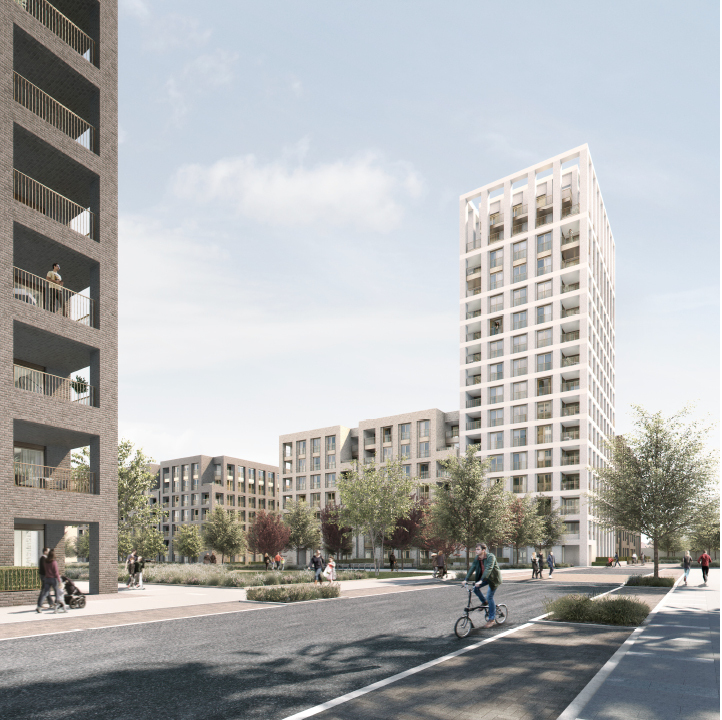 This was emphasised further through the use of double orders, expressed metal spandrel panels and varying the facade depths.